As the movie opens, we’re treated to idea that Sonoma County is probably the best place to be a cyclist. 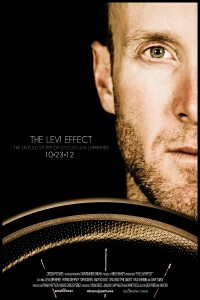 Of all the places Leipheimer has been, there’s nowhere else he’d rather be. The story is not unlike those of other athletes we’ve all heard about. He’s from a small town – Butte, Montana. He grew up in a good family and worked hard for everything he had. He excelled in certain sports, ski racing being one of them. His older brother, 7 years his senior, got him into cycling. His upbringing fostered a good work ethic, a strong will, and confidence. When, as he describes it, the two weeks of summer rolled into Butte, he began riding along with his brother and other friends on the local roads. At first, he couldn’t keep up. But then something happened, as it always does. He not only could keep pace but started dropping his brother and other riding partners. A photograph of Greg LeMond catches his eye. It was the one taken of LeMond during the last stage of the 1989 Tour de France. It was taken during the time trial where he won the race beating Laurent Fignon by 8 seconds. Levi was motivated by that photograph. It was then that he found out that cycling was the sport he wanted to pursue and that he, one day, would ride in the Tour. He was 13. The movie continues on to depict a man quietly, but determinedly, pursuing success in the sport of bicycle racing, including his move to Salt Lake City at age 17 and a little bit about racing with Einstein’s Bagels in the early ‘90’s. What this movie is not is a highlight film. There isn’t a lot of racing shown. There is, however, a point in the film where the “800 lb. gorilla in the room” is discussed. The way in which Leipheimer describes his decision to dope and the subsequent fallout from that decision is quite impressive. He doesn’t name names, he doesn’t blame anyone, he just tells it like it is and moves on. The movie then takes us to where Levi’s heart seems to be more at peace, Sonoma County. An event that he started there, in 2009, at the urging of friends called the King Ridge Gran Fondo is his legacy and one that he seems to love more than racing. Revisiting my opening sentence, I think that this film shows us that Leipheimer has had an effect, a very big effect in the professional cycling ranks and especially his community. As a cyclist he is very talented, very driven and very overshadowed. His love for the bike is infectious to an already enlightened community and in a very turbulent time in professional cycling. He seems to be a standup guy. All in all, I would recommend checking this movie out. It’s a rare, different look into the life of this particular professional cyclist. The cinematography and depiction of the Santa Rosa area is spectacular and in an almost Chamber of Commerce-like way, it urges you to visit. The cycling footage, albeit minimal, is typical but will enlighten you to how talented and underrated his career has been. The final scenes of the movie detailing the Gran Fondo, the people behind the scenes (and the thankless jobs they perform) and the people who ride it will certainly, and should, remind you how fun cycling can be. Note: The film will be released in late January 2013 for digital download on bikemonkey.net.